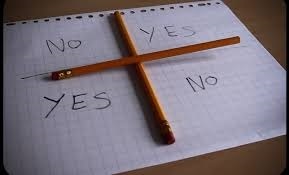 The games of invocation are games like the Ouija, Cleo and Vero, Charly-Charly, etc., the case is that to play them, a type of invocation is required. In the case of the Ouija, spirits are invoked, which are nearby, while games like Cleo and Vero, and Charly-Charly invoke the souls of people who died in traumatic circumstances and who through some ritual, linked them to an oracle, as is the case of Cleo and Vero, tells the story that they were two sisters and that one killed the other with scissors, hence, that in that game is used, a kind of pendulum formed with a book, ribbon and scissors. The point is that when someone plays them too often, there can be dangers, from accidents, oppression, and in some extreme cases, possession, because you have to take into account that they are not souls that are in Heaven.